Discussion in 'Article Discussion' started by Sifter3000, 14 May 2010. Wasn't this is CPC over a year ago? Nice machines, probably pretty nice to use too, but not at Â£75 extra! Some nice looking new laptops here and with the aluminium in the other post. BTW in your first sentence you pressed ',' instead of 'm'! "but when we last saw the, the bamboo was really just a lid covering"
Panda's can't even be bothered to copulate - would they bother about food? Of course they would. Why do you think they're so reluctant to copulate in the first place? to confirm, the entire laptop is recyclable? lcd? keyboard? pcb? cpu? mem? How does the bamboo effect heat dissipation? I thought the trend towards aluminium bodies was to aid cooling? Wooden trackpad? Rubbing a wood sheet all day would wear it down pretty quick, quicker than plastic, right? Actually I imagine the bamboo laminate on the trackpad would be quite tough and hardwearing. And just how much pressure are you going to put on a track pad anyway? I figured it'd be even tougher. I've worn smooth many a keyboard and mouse, yet have seen hardwood floors a century old which are still quite decent. Wood is very durable, bamboo particularly so! 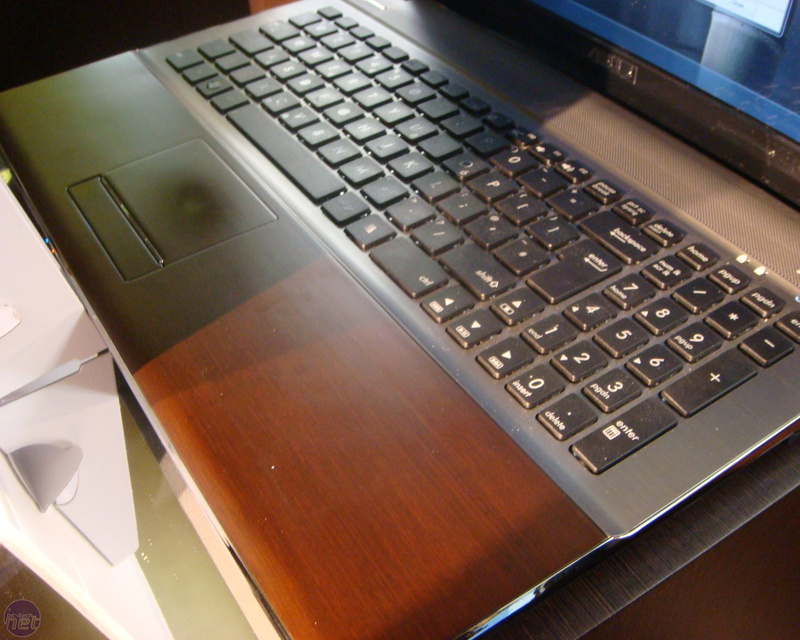 The touchpad in the picture looks pretty worn/greasy. I think it looks great appart from that thickness! 34mm! Especially on a 13" laptop. At £900 i'd rather not.